Happy 22nd wedding anniversary to me and my husband Brad. Can’t believe it has been that long. 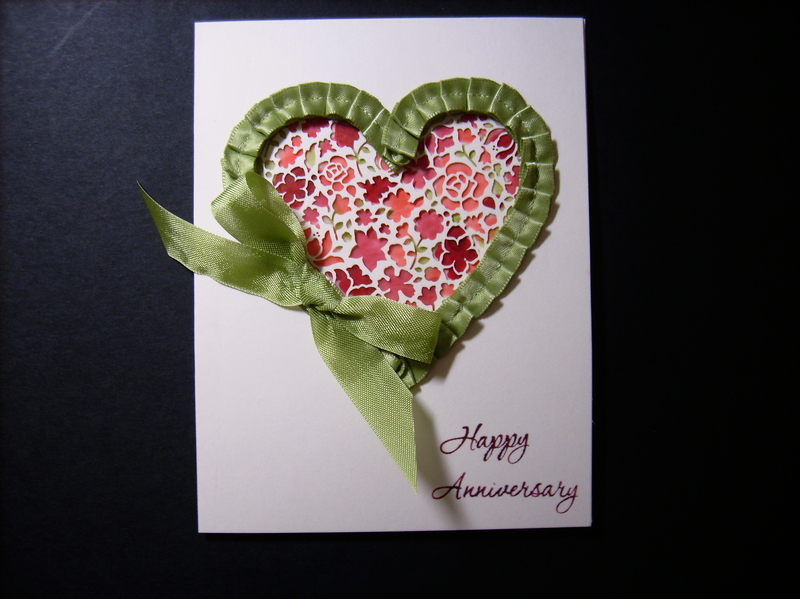 To commemorate the day, this card started out as a Simply Sent kit from Stampin Up and then I stepped it up with a watercolor technique on vellum and place behind the intricate heart center. I used some of the pleated satin ribbon (no longer available) and matching seam binding ribbon.